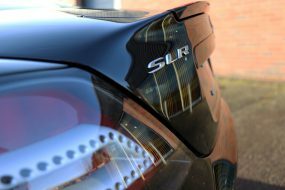 The popularity of car detailing has risen enormously in the UK over the past few years and the reasons behind this are varied. Of course, a significant portion of the population has always enjoyed spending some time at the weekend therapeutically washing and polishing their cars. In an age of austerity, even those who haven’t previously given much thought to car care have started to appreciate the benefits of preserving the cosmetic appearance, particularly as typically, we’re all keeping our cars for longer. The car care industry has grown exponentially, with a myriad of products and a whole raft of new processes having been developed over the past few years, all with the aim of helping car owners maintain their vehicles to a higher standard than ever before. For the everyday consumer, the topic of ‘proper car care’ can be confusing. For professional detailers too, the number of products and tools available to them has risen significantly and for many, determining which to select can be a time-consuming and costly process of elimination. 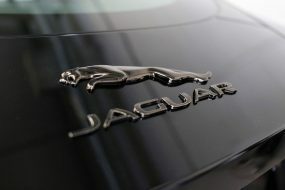 UF Training Courses are designed to help car care enthusiasts and professional detailers overcome all these challenges. The Car Care sessions begin with decontamination and cleaning, introducing attendees to the different types of contamination typically found on vehicles before giving them the opportunity to practice non-contact decontamination methods. Machine polishing is a popular segment of the 1-Day Car Care training event. 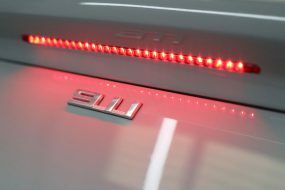 To start with, attendees are taught how to use a high-intensity detailing lights to spot and identify paintwork defects. After being introduced to a variety of dual action polishers, attendees were taught about different machine polishing pads and compounds and instructed in their uses before being given an opportunity to practice under close supervision. Underlining the appeal of the courses was the selection of attendees at the latest 1-Day Car Care Training event. One had been sent by his boss so he could learn how to take better care of his classic cars. Another attendee was, himself, the owner of several classic cars and he wanted to understand how to look after them properly. One attendee is setting up her own motorcycle detailing business and, as motorcycle fairings are usually plastic, she required some specific help and information. Machine polishing is a complex task and as a result, UF offers one and two-day training events dedicated solely to the subject. As well as being popular with enthusiasts, we’ve found professional detailers also find value in the training events. It gives them the opportunity to try a range of machine polishers and make an informed decision before investing in one. It also means they can try out the latest pads and compounds and polishing systems, and with so many being released, detailers find this a good way of investigating without committing to litres of product which they may then discover they don’t like working with. – Matt Back, Master Detailer & Trainer, UF Studio. Whilst the many of the training events are open to everyone, some are specifically for established professional and established detailers seeking manufacturer-specific accreditation. These events include RUPES and FLEX, manufacturers of machine polishing tools and systems, and Colourlock Leather Care & Repair products and processes. 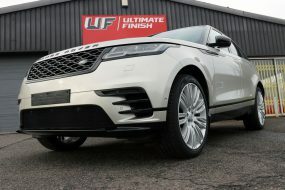 In addition, Kamikaze Collection International, specialists in the design and engineering of innovative car care solutions and high-performance ceramic coatings, has appointed UF as their UK distribution and training partner. Whilst most Kamikaze Collection products are available to enthusiasts, two of their ceramic coatings, Zipang Coat and ENREI Coat, are available exclusively through the Kamikaze Collection trained and certified detailer network. This is due to the specific manner in which the coatings must be applied in order to ensure maximum performance and longevity. Kamikaze Collection eschews the idea of promoting ‘the best coating’ saying instead it is preferable to simply be ‘better’ than anything else. They have put an enormous amount of time and effort into researching and developing not only the engineering of the actual products but also into the optimum method of application that ensures the coating protects effectively for as long as possible. 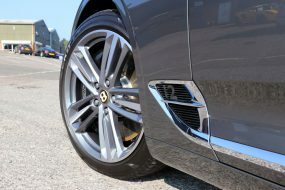 By ensuring each detailer is trained in the correct application methods, Kamikaze Collection is able to enforce quality control, so the reputation of their coatings will not fall victim to bad press as a result of inept application procedures. UF Studio – Award Winning Detailing & Training Centre. Call 0333 800 8004 to discuss your requirements or complete the online enquiry form here to receive a call back.